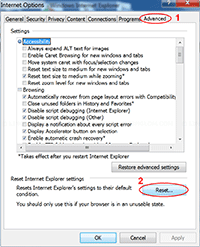 Most web browsers have an option to reset their settings to default condition in case that you may have modify some settings and resulting unstable browser, or some adware made changes to your browser configuration and you want to revert it back. 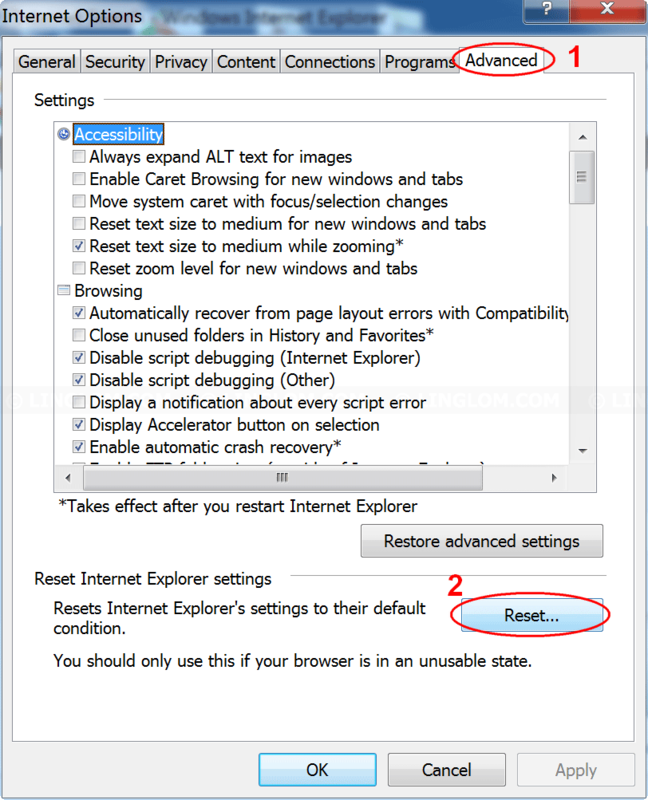 This article shows step by step guide how to reset settings on Internet Explorer, Mozilla Firefox, and Google Chrome to default settings (original state). Note: By reset web browsers to default settings, information such as history, bookmarks, cookies, saved form history may be removed during this process. 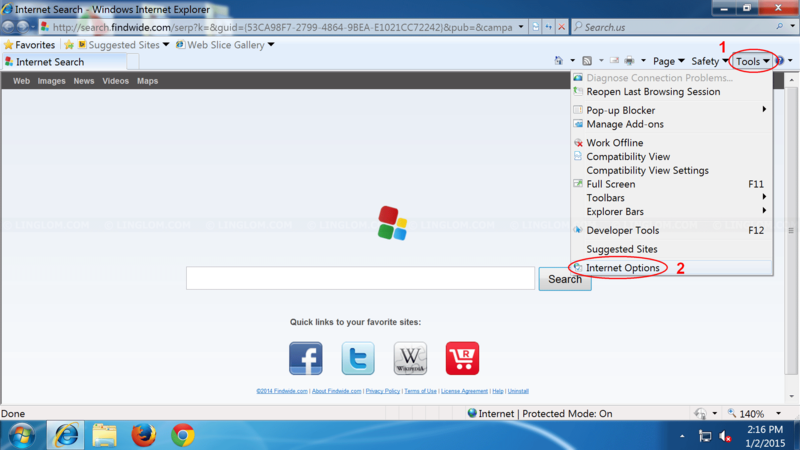 On Internet Explorer, open Tools -> Internet Options. 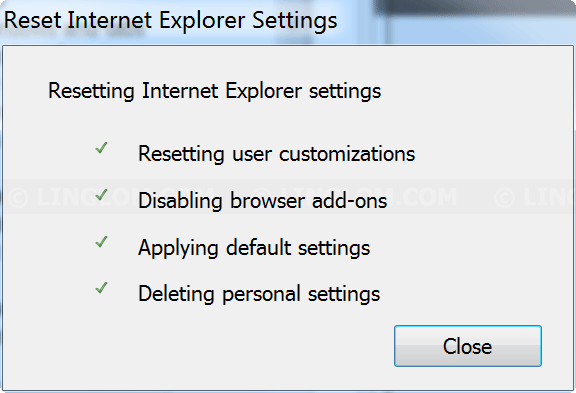 On Internet Options, select Advanced and click Reset under Reset Internet Explorer settings section. 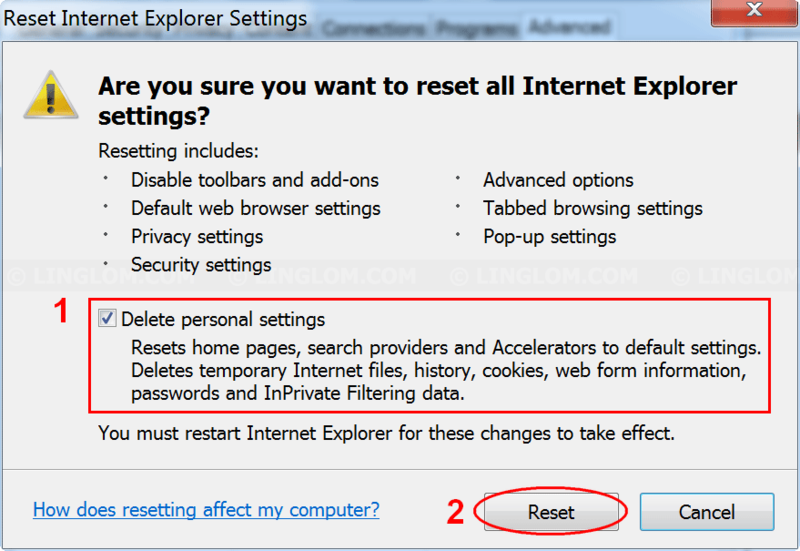 On Reset Internet Explorer settings, check the box Delete personal settings and click Reset. You can review what information will be reset on this step. Once reset, click Close and restart Internet Explorer. 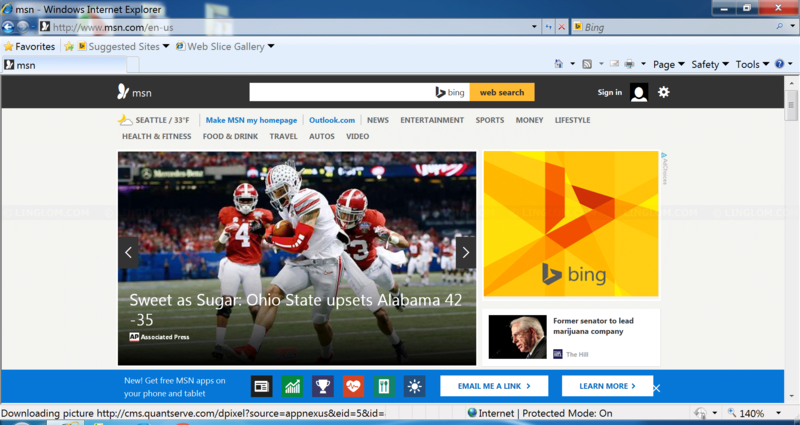 Now Internet Explorer is reset to original state. 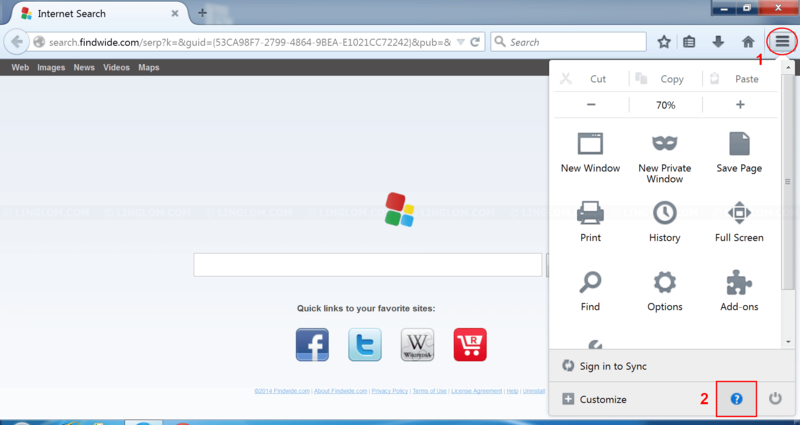 On Mozilla Firefox, open Menu -> Help (the question mark icon). 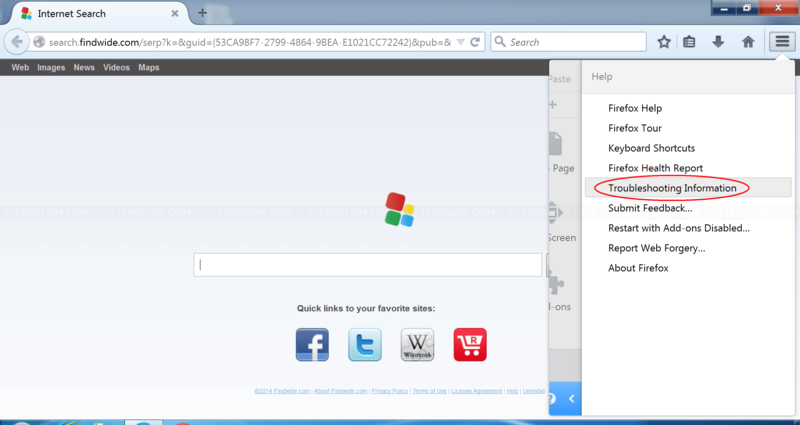 On Help menu, select Troubleshooting Information. 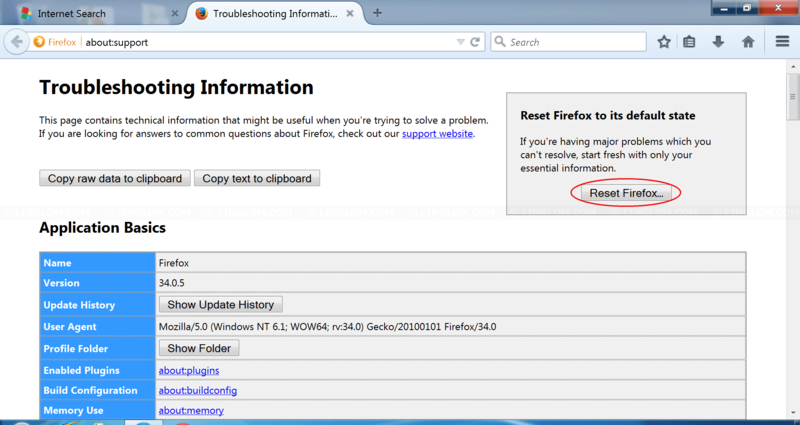 On Troubleshooting Information, click Reset Firefox under Reset Firefox to its default state section. 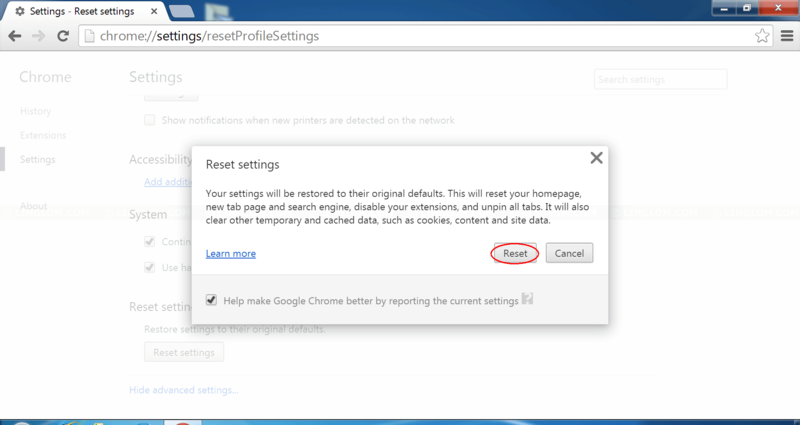 On Reset Firefox, you can review what will be reset. 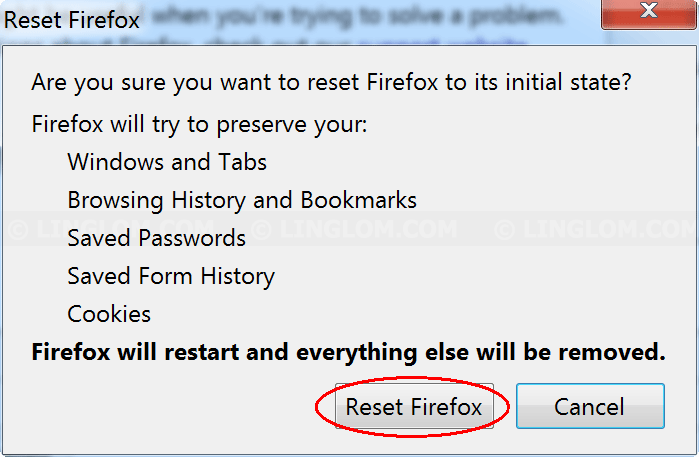 Click Reset Firefox to proceed. 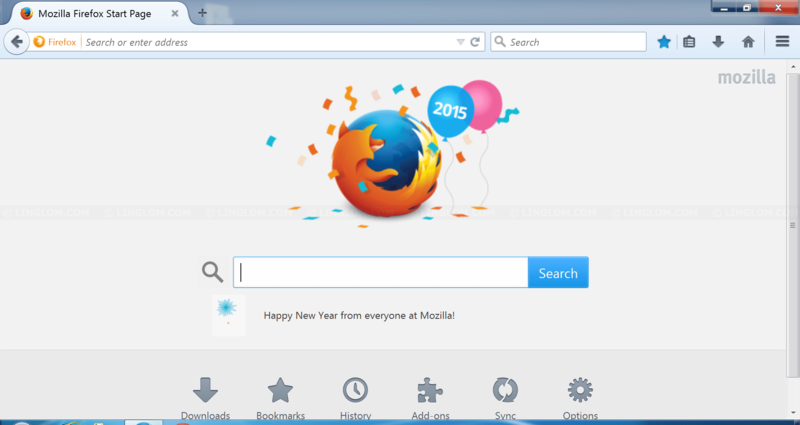 And restart Firefox browser. Note: Firefox will backup your old profile in folder “Old Firefox Data” on Desktop in case you need to restore some data back. If you don’t need it, you can delete the folder. Now Firefox is reset to original state. 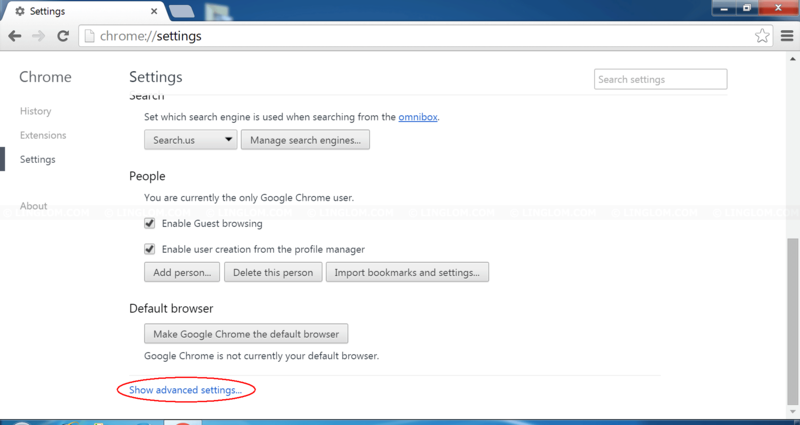 On Google Chrome, open Menu -> Settings. On Settings, scroll down to bottom of the page and select Show advanced settings. 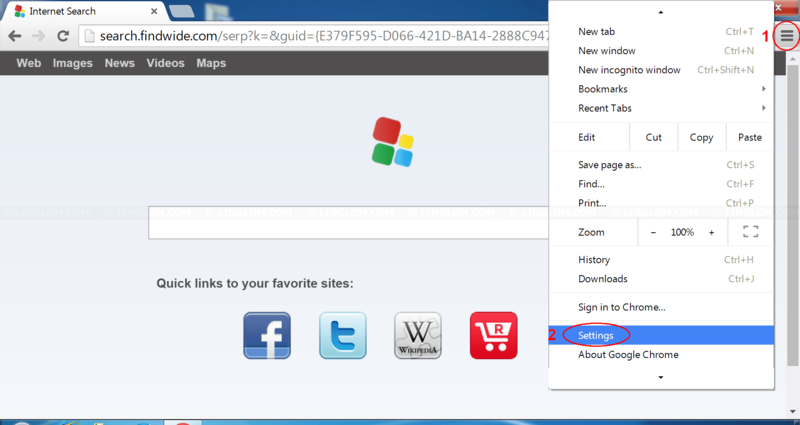 Then, scroll download to bottom of the page again and click Reset settings. Here you can review what settings will be reset. Click Reset to proceed. 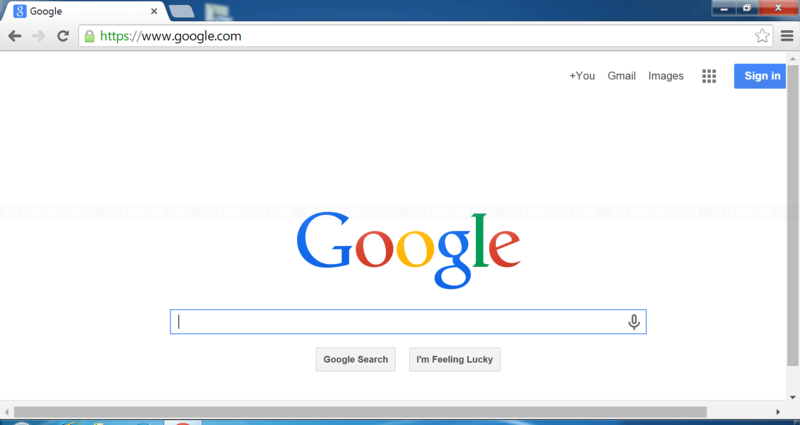 Now Google Chrome is reset to original state.